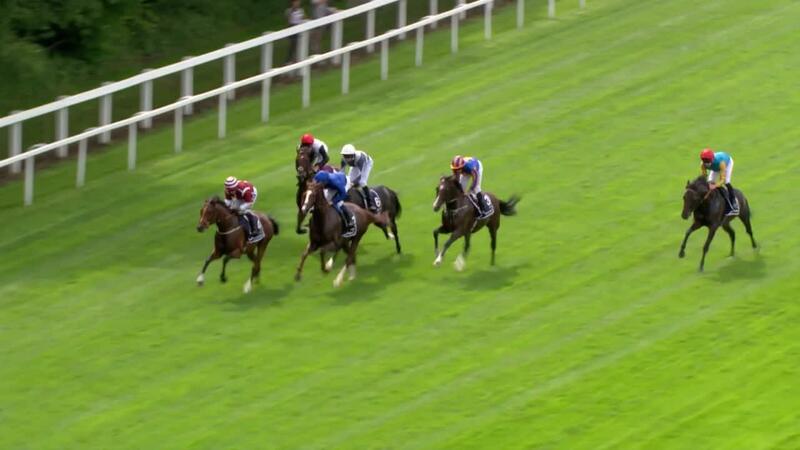 Watch a full replay of how Cracksman scrambled home in the Investec Coronation Cup, Lydia Hislop's interviews with John Gosden, Frankie Dettori and Sylvester Kirk and read Geoffrey Riddle's report from Epsom. Cracksman will head to Royal Ascot in 19 days after giving his connections - not to mention odds-on backers - the scare of a lifetime in the Investec Coronation Cup at Epsom on Friday. Ridden by Frankie Dettori, and sporting the colours of owner Anthony Oppenheimer, Cracksman only nailed down the enterprisingly-ridden Salouen and Sylvester De Sousa by a head in the final strides. It was a fifth win in the Group One contest for Dettori, who admitted that his mount had suffered a hard race in pursuit of the runner-up. “It was satisfactory and we got there,” he said. 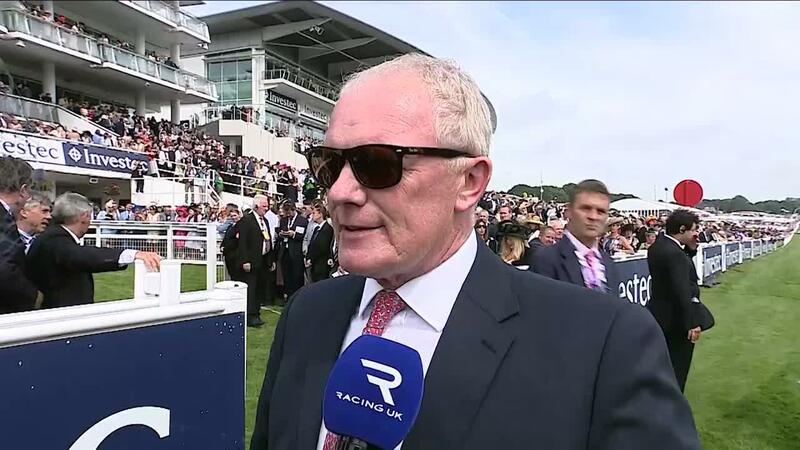 “We couldn’t bridge the gap and he got ten lengths on me. It took the straight to get him going and I wasn’t getting any progress. “I thought I would switch him to the rail where it might channel his thinking and it wasn’t until the latter part of the race on the flattest part of the track that he made up two lengths. Cracksman was briefly shunted out from 4-5 to 11-4 for the Prince Of Wales’s Stakes by one online bookmaker but those odds disappeared quickly and the best price on offer now is Paddy Power’s 6-4. The son of Frankel is also 100-30 for the Qatar Prix de l’Arc de Triomphe with Paddy Power, with the sidelined Enable at 6-1. Salouen is 40-1 to upstage them both with Betway. 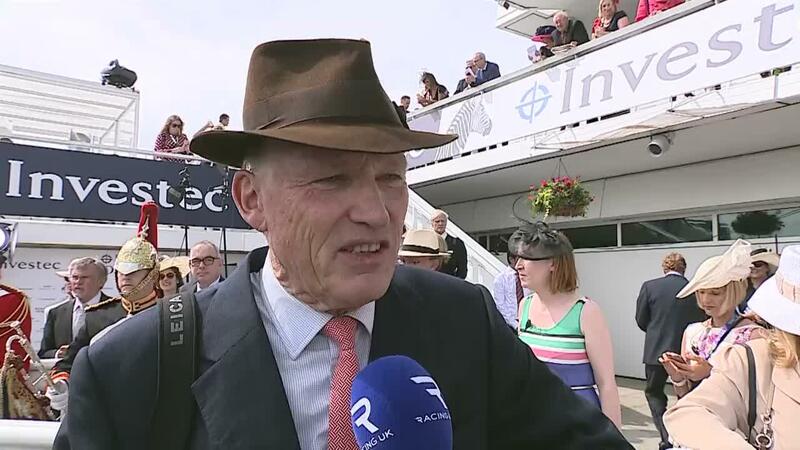 It was a first Coronation Cup for Gosden, who blamed the soft ground and the Epsom camber, which Cracksman had negotiated fairly well last year to win the Derby Trial here and when third to Wing Of Eagles in the Derby. “I could see Frankie’s elbows moving from a long way out,” he said. “It was not his scene but I like the way he flew on the rising ground. They were strung out, this is quite testing ground. “He just was not comfortable. I mentioned to Frankie whether we should come to Breakfast With The Stars but I left him alone. “He is not the horse we know, but he had the guts to get up and win. It is very hard to accelerate on this ground and catch somebody who has got a lead, and especially if they don’t enjoy running down hill. Cracksman came in to the race rated 130 and officially the best horse in Europe, having beaten outsider Wren’s Day on his return in the Prix Ganay last month. Sent off the 2-7 favourite, he was never going well as De Sousa tried to emulate his ride aboard Arabian Queen at York in 2015 when making a fool of Dettori and Golden Horn in the Juddmonte International by taking Salouen in to an early lead. 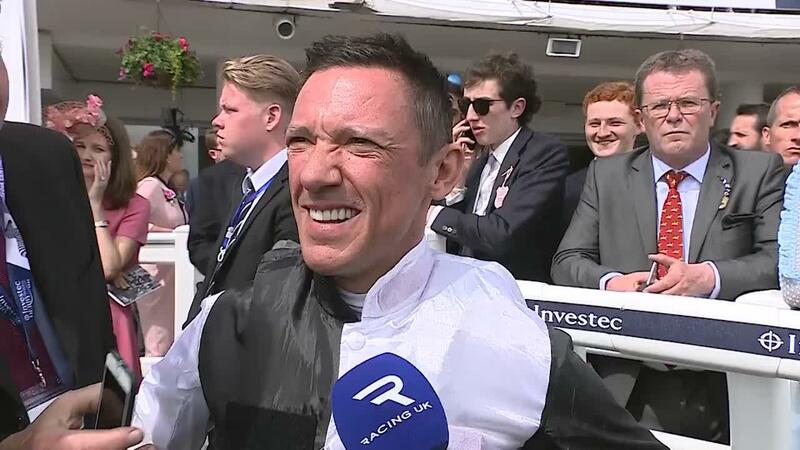 Dettori cut a concerned figure in the saddle on the turn of the mile-and-a-half contest and had to weave through runners, then angle to the rail, before drawing his whip with over two furlongs still to run. The rail proved to be his saviour. Salouen much fared worse in the Derby 12 months ago when 13th after almost falling over, but Sylvester Kirk deemed his return to Surrey a resounding success and is now looking to the clouds. “To be that close to Cracksman shows what a serious horse he is,” he said. “It is just fantastic. I thought we had won it for a moment. De Sousa took the defeat particularly hard. "I felt he was running a good race at Ascot and he did his best work at the end," he said. "I wanted to make the running and tried to get the fractions right. We got them wrong but I’ll try to get them right next time. "It was heart-breaking. I think he put two lengths on him but in the last 50 yards the other horse just came too strongly for me. He got a bit tired and rolled off the rail. He ran a fantastic race and I am sure there is a big race in him. "